The codes are essentially like the QR barcode squares you sometimes see on advertisements and magazines, but these also feature Amazon’s smile logo in the center. QR codes are barcodes that smartphones scan that can do things like take users to a webpage or play a video, for example. Amazon’s smartphone app already has a live camera feature that lets you scan the SmileCodes. To get to the SmileCode feature, launch the app and tap on the camera icon in the search bar. Tap on “see more,” then select the SmileCode Scanner option. The app states that scanning one of these SmileCodes will unlock an “Amazon experience with your camera.” Once you’ve scanned one of the codes, the app will automatically redirect you to your offer. According to the feature’s FAQ, SmileCodes allow Amazon customers to instantly use Amazon benefits at the specific location they find the code. 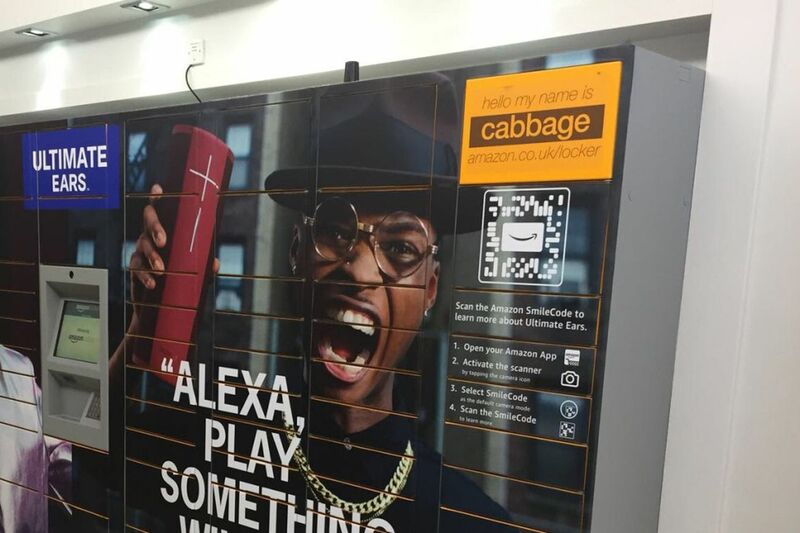 For instance, if you pass an Amazon Locker, there might be a SmileCode there that offers you a secure code for the locker. Scanning codes might be a bit nerdy and gimmicky, but as Amazon maintains its might as the US’s largest e-commerce retailer, seeing someone whip out their phone to take pictures of barcodes might not be so uncommon in the near future.